This section comprises a series of articles (each quite short) that attempt to think through creation on first principles – i.e. to develop a theory of creation. The paragraphs below provide summaries. Click on the headings or the links on the sidebar to access the full text. Although it is not clear when plate tectonics began, its effect over time has been sufficient to change the original world beyond recognition. Erosion, weathering, tectonic dislocations and volcanic eruptions have been at work almost from the beginning. Given that time is also part of the creation, they must have been foreseen. The same applies in relation to its biology. Death and decay are endemic: individuals were not designed to live forever. The world started from a position of emptiness: the command given to fish, birds, man and presumably all other animals was to fill the Earth. Geological and biological fixity would have been incompatible with a world designed never to stand still. If we are to understand whether our present knowledge supports or contradicts creation, we need to have a theory of creation. A theory provides principles, distinct from ad hoc rationalisations. So here is the first key point. Contrary to Victorian ideas, the creation of a world designed to endure only until such time as it is filled (and the book containing the names of those granted eternal life is filled) implies constant change, not fixity. Creation is by definition something that takes place “in the beginning”. It is not a process that continues over aeons, but the coming into being of something new. It involves four stages: the creation of matter, the energising of the heavens to produce light, the impartation of form, and the impartation of life. Creation is an act of self-alienation, whereby the thing created ceases to be part of God. It is endowed with physical and moral independence. However, it still depends on God for the sustaining of its existence. Not being designed to go on forever, the universe is perpetually descending from a state of higher order to a state of lower order. In accordance with this fundamental law of physics, the beginning must have been when order was at a maximum – a maximum imparted from outside the material universe. 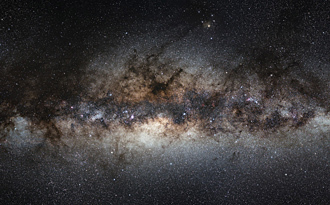 The light that illuminated the Earth on Day 1 was a quasar at the centre of our own galaxy, the Milky Way. The subsequent collapse of the quasar into a black hole was an event of extreme violence. Necessarily, the solar system was located very far from this centre. Copernicus turned out to be wrong in his supposition that the sun was the centre of the universe. So, quite possibly, are modern astronomers, who have espoused the so-called ‘Copernican Principle’ that nothing (specifically the Milky Way) occupies a privileged or central place in the universe. What makes the earth’s position special is its specific distance from the sun, ensuring that its range of temperature is favourable for life. Its position is determined by the requirements of life, not abstract geometry. Creation theory predicts that no other planet, either in the solar system or anywhere else, will be found to have life, because life cannot arise by chance. The ‘Anthropic Principle’ is an attempt to get round the fact that the Earth appears to be unique in the universe. That anything at all exists is a mystery. From an atheistic point of view, nothing should exist, and, failing that, only one thing, the simplest, most nondescript thing imaginable. To imagine the chance existence of two identical particles, capable of interacting with each other, is already to strain the whole concept of chance. In reality, the universe consists of countless trillions of diverse yet compatible particles. Initially, before Day 1, matter was distributed evenly through the universe. Then there was light (electromagnetic radiation). Possibly the CMB is the radiation from this energised evenly distributed matter before it was separated into concentrations of matter (quasars) and intervening darkness. Only later did quasars develop into galaxies, clusters of stars surrounding an ultraluminous nucleus. Stars as such were not products of direct creation. 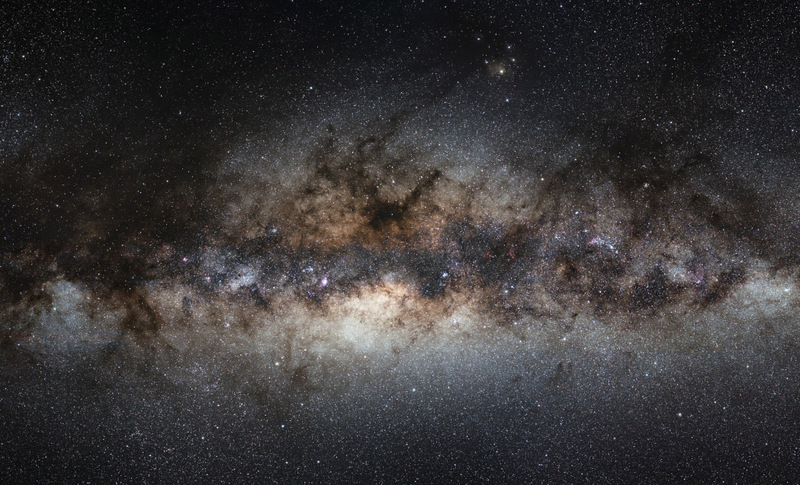 Since the centre of the Milky Way is almost 25,000 present light years away and light reached the Earth almost instantaneously, the speed of light at Creation must have been much faster than now. Geological time is measured by rates of radioactive decay, which are proportional to the speed of light, and the primary evidence of the fossil and geological record indicates rates of sedimentation orders of magnitude greater than those which obtain now. The speed of light is controlled by the zero point energy of the vacuum – a matter of ongoing research by the European Organization for Nuclear Research (CERN) among other bodies. Further sections will be written in due course.